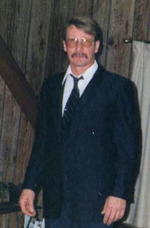 Paul Edward Lovejoy, 63, of Kennebunk, passed away January 23, 2019 at home surrounded by family and friends. He was born November 1, 1955 in Biddeford to Roger and Sophie (Tereszko) Lovejoy. Paul attended Biddeford Vocational High School and graduated from Kennebunk High School in 1974. Paul was a true “Jack of all trades”. Throughout his career his jobs included Sea Mosser, Mechanic, Lobsterman, and Truck Driver. He was a funny, goofy extrovert who could strike up a conversation with anyone. He was also smart and good natured. He enjoyed striped bass fishing and rebuilding and driving muscle cars from the late 60s. Paul was preceded in death by his parents, Roger and Sophie Lovejoy; a newborn sister; step-brother, Keith Lovejoy; and best friend, Wayne Brown. He is survived by his daughter, Kayla Lovejoy of West Newfield; siblings, Richard and his wife, Robin of North Berwick, Willis and his wife, Diane of Arundel, Larry and his wife, Kathy of North Berwick, Leon and his wife, Ruth of Kennebunk, Robert and his wife, Brenda of Arundel, Sally Curtis and her husband, Dexter of Kennebunk, and Peter and his wife, Elizabeth of Old Orchard Beach; ex-wife, Tammy Lovejoy of Limerick; and numerous nieces, nephews, cousins, and friends.